2 weeks, 4 weeks or the entire summer? If my daughter stays longer, will she be homesick? These are common questions we hear from parents every summer. Many worry that their daughters will miss home too much, but also might not have enough time to get the full summer experience with a shorter summer session. One of the biggest worries every parent has is whether or not their child will overcome the discomfort of being away from home for an extended period of time. This concern is quite common, so we’ve implemented several programs and traditions over the years such as Camp Sisters, which helps girls feel at home in the community and meet inspiring mentors to guide them through the camp experience. However, the most powerful tool for homesickness is time. 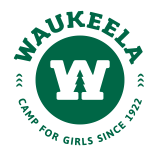 The more time girls spend at Waukeela—trying new activities out of their comfort zone, reaching goals, meeting friends—the more they realize they are capable of so much more than they ever thought before. The fear of being away from home melts away. What’s left in its place is a new sense of independence and accomplishment. With more time comes more opportunities to grow and build upon skills learned during the first two weeks of camp. Instead of just gaining skills, campers can actually apply and grow those skills in meaningful ways. Creative ideas can become entire art projects and scary new challenges can become reachable goals. Our values of sisterhood, respect, and support guide everything from activities to traditions. Staying for the full session not only means making new friends, but seeing those friendships grow into lifelong connections. 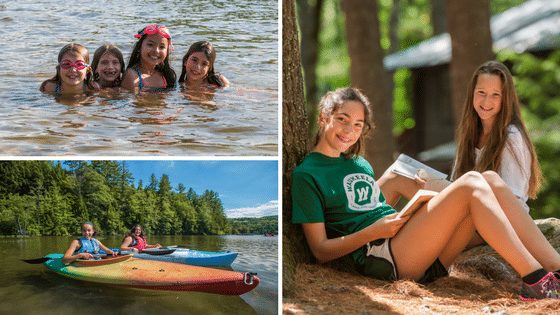 The longer session also allows girls to make friends outside of their cabins and activities. This helps girls learn how to work with others they may not normally find in their usual social groups. As you can see, staying on for the full 4 weeks or the entire summer can be a very beneficial experience for both you and your daughter! No matter what session you choose this summer, we can’t wait to welcome your daughter to our wonderful Waukeela community.